A dynamic sports program is essential to the education and character development of students, at JFKS it is also an important part of its binational, bi-cultural education. Starting with P.E. instruction in the Entrance Class, the JFKS Sports department is dedicated to providing the best possible learning environment for the physical, cognitive and social development of its students. 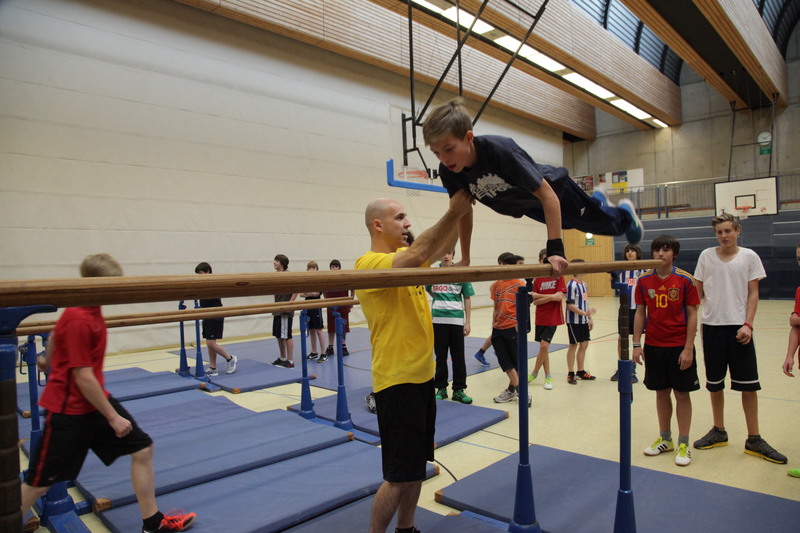 In the Elementary School, swimming is an integral part of the 3rd grade curriculum, in the High School, the entire 8th grade participates in a ski trip to Austria. In addition to the weekly P.E. instruction in which all students participate, JFKS Sports teachers offer a variety of extracurricular Sports activities including basketball, badminton, lacrosse or rowing to students in the Elementary and High School. JFKS Teams in different sports participate successfully on a regular basis in tournaments as well as Berlin and German Championships.